Dinner downtown sounds like a great idea to me. Saturday 5p. 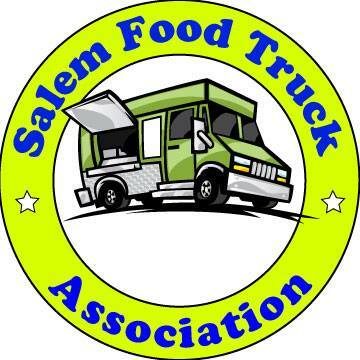 Let's meet up at http://eatsalem.com You're all invited to join in online. @MelinaTomson You'll have to go to http://eatsalem.com at 5p to see where. Sorry. Hey all! See you in 30 minutes. So nice and sunny in downtown Salem tonight. Vic D here. Hope everyone is great. The dinners all look so yummy. Its going to be a difficult choice for the whole party. We ordered 4 fruity italian sodas and some dolmades to start. Gotta love meat wrapped in grape leaves! Dolmades were very well done! Not too greasy and oh so tasty. The food stand is sitting next to our table. The entrees are on their way. The pita bread with the meal is SO GOOD!! Everyone but me went for the lamb or lamb kabobs except me. They all say 'good meat'. I got the vegetarian plate. K says 'nice variety'. mmm...its like greak fest! Do we have one or those in Oregon? My mousaka is a new dish for me. Its a casarole with potatoes and eggplant. Its pretty good. The lamb is very tender. J has already inhaled his kabobs. N is finishing off a lonley spinach side that no one claimed. A few of us are trying to decide on some greek pasteries. They ended up with baklava and kaitlaifi. The baklava is a bit chilly but very yummy. It has lots of cinnamon which gives a little kick. The kaitlaifi is warm an full of coconut and nutty goodness. Thanks for eating with us again. I hope you enjoyed the meditereanian flavor at Macedonia. This is Vic D signing out. Happy eating! @eatsalem The parking was fine, a bit early for the dinner crowd. Not busy inside as they just opened at 5pm. @vicariousdiner @eatsalem @OregonNews @thrallz1 @sushikats So many new things to try. Thanks for your suggestions. @vicariousdiner @eatsalem @OregonNews @thrallz1 @sushikats Macedonia is a good greek restaurant, in comparison to the ones I've been to. @MelinaTomson The eggplant was a little mushy, but it was the crust of the mousaka so I thought it was ok.
@MelinaTomson @eatsalem He gave me and J some baklava on the house. He was very sweet! Macedonia's food is great. Their food is tastier than the greek resteraunts in PDX. Check them out.